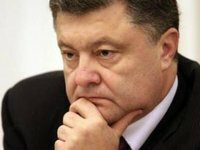 Ukrainian President Petro Poroshenko replied as witness to questions from investigators at the Prosecutor General's Office as part of an inquiry into crimes dating back to the Euromaidan events, according to Serhiy Horbatiuk, head of special investigations at the Ukrainian Prosecutor General's Office. "Questions were asked regarding those events, and answers to them were received... Information from any witness giving an account of those events is important, and, of course, so is the information provided by the president," the prosecutor said on the 112 Ukraine television channel on Saturday. Poroshenko was summoned as a witness, he said. Some individuals are ignoring prosecutors' summonses for questioning, Horbatiuk also said. "We have not had Moskal, Hennadiy Hennadiyovych [head of the Zakarpattia regional state administration] show up for summons for a long time now. We invited him a number of times... We hope that after the last summons he will still arrive and give evidence," Horbatiuk said. Inquiries have already started into most of the Euromaidan events, with court hearings held literally every week, the official said. "In all, courts have been sent indictments against some 150 people," he said. At the same time, on some of the cases judges themselves seemed to be reluctant to hear such cases and made every effort to avoid having to, he said. On Friday, November 18, Ukrainian President Petro Poroshenko gave evidence in the case over crimes against Euromaidan activists, the president's press secretary Sviatoslav Tseholko told Interfax.